Talk of flagship phones and many would discard Huawei as a serious contender. 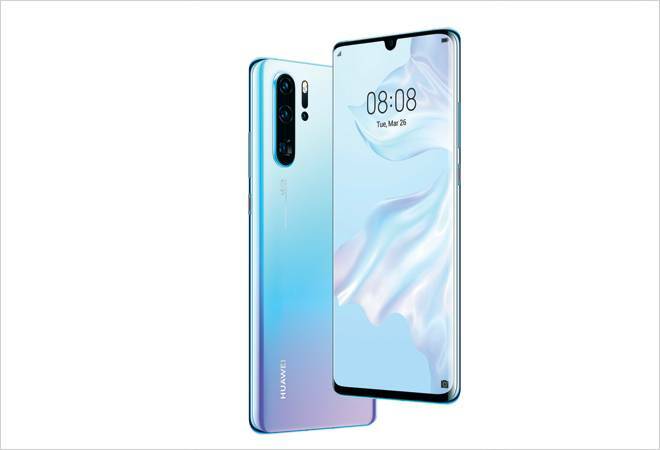 But the Chinese manufacturer has come out with stunning technology breakthroughs, the latest being the P30 Pro that can compete with the likes of Samsung Galaxy S10 Plus and Google Pixel 3 XL and beat them on the camera front. This one houses a Leica quad camera set-up at the rear and uses the RYYB sensor for the primary lens (instead of the standard RGB sensor), which captures 40 per cent more light and is extremely convenient for low-light photography. The rear camera module comprises a 20 MP ultra-wide angle lens at the top, a 40 MP primary wide angle lens in the middle and an 8 MP 'SuperZoom' telephoto lens and a time-of-flight (ToF) camera placed below the flash for accurate depth detection, producing a superb bokeh effect in portrait mode. The best part is the periscope-style 'SuperZoom' camera, which is perpendicular to the smartphone's surface and comes with an array of lenses. What we see from the outside is a prism that rotates light towards the lenses inside, enabling 5x optical zoom, 10x hybrid zoom and up to 50x digital zoom. In the default photo mode, I was able to switch seamlessly between wide angle, 1x, 5x optical and 10x hybrid zoom, and the images did not suffer any clarity loss. Even when zooming in, the AI support quickly identifies elements while balancing light and colour. Better still, the phone captures clear, noise-free pictures even in pitch dark. Taking macro shots was a delight as I captured close-up views from 2.5 cm. But there is more. It has a curved glass front (6.47-inch FHD+ display) and back, a teardrop notch, and an in-display fingerprint sensor. Running on Android 9.0, it is powered by Kirin 980 octa-core processor and paired with 8 GB of RAM and 256 GB of onboard storage. It performs smoothly and does not overheat even after long sessions of camera usage. The 4,200 mAh battery lasted me a day and a half and was quick to charge. It supports wireless charging and reverse wireless charging (you can charge other devices with this one), but Huawei has also bundled a 40W charger in the box.